Texas Tech received their fifth commitment of the week, third of the weekend and second linebacker in Tyrique Matthews. You’ll never guessed what happened? Texas Tech got another commitment. 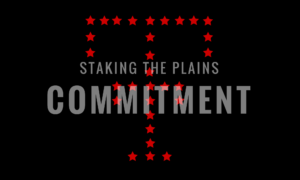 For the fifth time this week, the Red Raiders landed a commit, and for the second time, that commit is an inside linebacker. Tyrique Matthews made his pledge to Texas Tech on Sunday afternoon to move the class to seven commits. Here’s his measurables and a little bit about his commitment. The Red Raiders weren’t the first team to offer Matthews, but they were one of the first teams to do so. They were also the only Power 5 team to extend an offer to him. Matthews was offered in early May, followed by several FBS schools. He visited the Red Raiders this weekend before committing to Texas Tech at the end of the weekend. 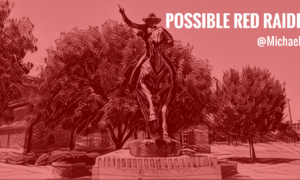 He is the third recruit to commit to the school in Lubbock this weekend, and the third commit this week to do so a week or less after a visit. If we look at Matthews’ film, there’s a lot of D’Vonta Hinton in him. Now I now Hinton transferred out of Texas Tech, but he still was very solid when he did play at Texas Tech. Matthew is short and compact, but he delivers hard hits much like Hinton, as we can see in the second and sixth play on the flim. He levels a returner on special teams and then takes out a quarterback. He also seems to recognize holes well, as he’s patient and accelerates at the rusher at the right now. The first play he does so at a quarterback, then does say with a running back in third through sixth plays. The first two are more direct, while the last three are more staying in position to make the play. Matthews also has some special teams plays on here, which is interesting because usually you don’t see those unless you are a kicker or returner. He seems to take the role seriously and really shows his speed and strength in these plays. There’s on where he’s being blocked, but still take down the return man. I didn’t much pass rushing and I do wonder how he’ll do against big backs, but he appears to be a solid get for the Red Raiders. Ben Golan of RedRaiderSports spoke to Matthews about this commitment. There’s quotes about how his visit went, what he did on his visit and the coaches’ plan for him. Zach Tanner of InsideTheRedRaiders has a story on the commitment, but it is behind a paywall this time. I do not have a membership so I can’t say anything (nor would I if I did). Here’s the lone quote we have on the story. 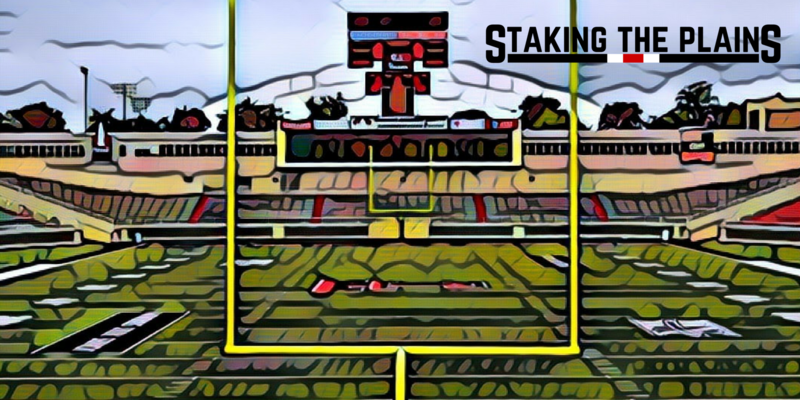 Now I would update you on the class and how Tech is doing, but I’m not joking when I say that two more guys committed to Texas Tech while I was writing this up. That’s three commits in a span of 20 minutes. They couldn’t space them out for us. On to the next story I guess.